My hens are in full on egg production and in trying to decide what to make for dinner tonight that used eggs I just happened to see in the back of my appliance pantry the waffle iron. I haven't used the waffle iron in years. 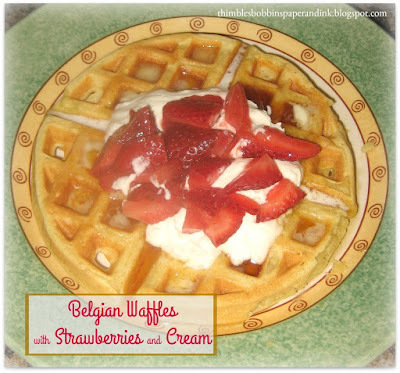 I had some strawberries and whipped cream and decided that Belgian Waffles and poached eggs would make a dandy dinner for the Mister. I love this recipe! 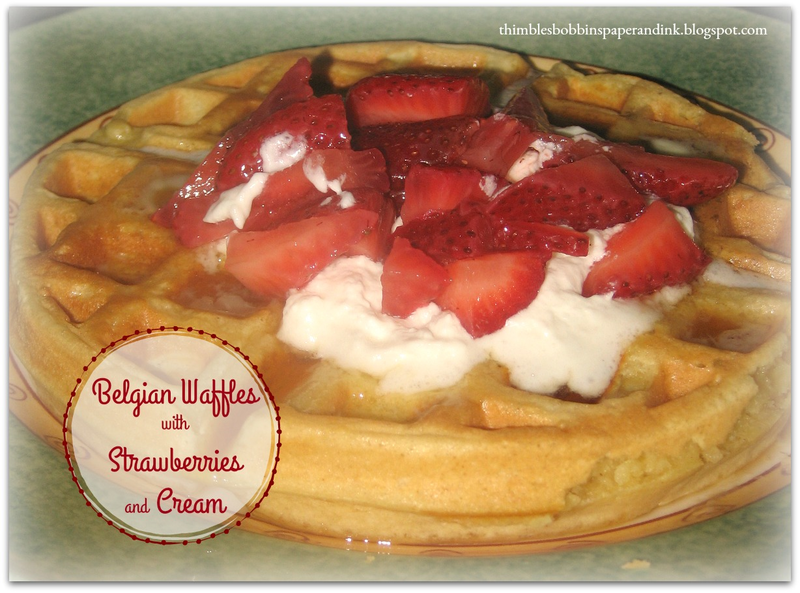 The waffles are light and fluffy inside and just a wee bit crispy on the outside. 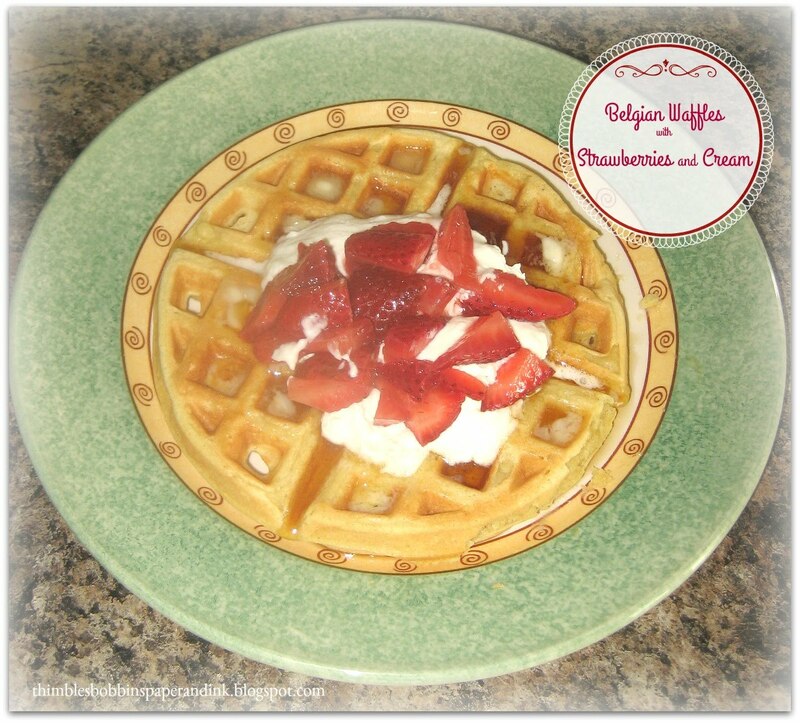 The pinch of cinnamon and nutmeg and vanilla create a delightful waffle. In a separate bowl, separate the egg whites and beat until stiff peaks form. In another separate bowl, mix together the egg yolks, milk, oil and vanilla. Stir to combine. Add the dry ingredients to the egg yolk/milk mixture and mix well. Cook in waffle iron on medium-high heat for 5 or 6 minutes. Waffle irons may vary so judge your cooking time to your own waffle iron. Yield: 5 or 6 large waffles. You know summer has arrived when it is time to get out the canning pot and preserve some of those yummy strawberries. I made some strawberry jam decided this time to try out a new recipe: Strawberry Jam with Balsamic Vinegar and Pepper. It's really something special! 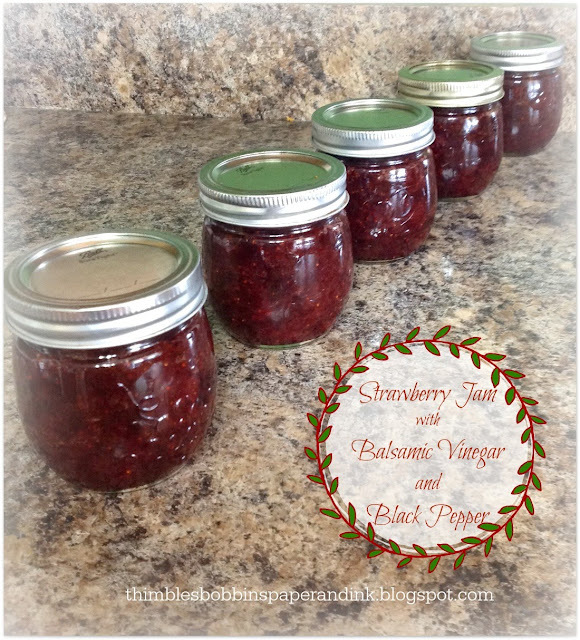 Imagine the sweetness of Strawberry Jam that has notes of Balsamic Vinegar and the heat of black pepper. This jam will be wonderful with goat cheese and crackers. Or poured over a block of cream cheese and served as an appetizer on crackers. And how about serving it with fish? I'm also thinking it would make a yummy sweat salsa-like accompaniment to fish tacos. The possibilities are many! Prepare your jelly jars by washing thoroughly and placing the jars and lids in boiling water for 10 minutes. Keep the jars in the HOT water until you are ready to fill the jars with the jam. Place the strawberries in a heavy bottomed saucepan and mash the berries with a potato masher to crush. Add the sugar, balsamic vinegar, black pepper and lemon juice to the pan with the strawberries and stir well to mix them. Stir over low heat until all if the sugar has dissolved. Turn the heat to high until the mixture comes to a full boil. Stir often to prevent scorching. 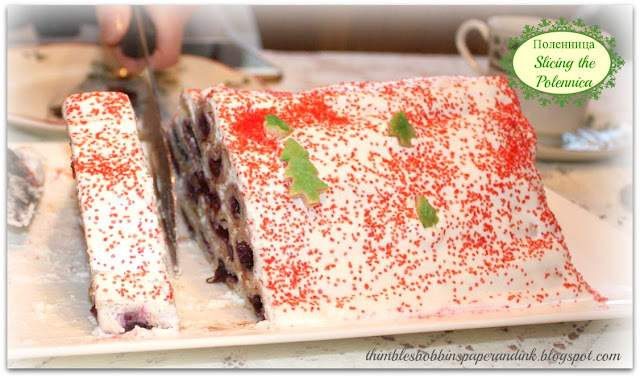 Once the berry mixture reaches a full boil, turn the heat down but continue to boil the mixture until it reaches 220 degrees Fahrenheit on a candy thermometer. Watch very closely and stir often! Ladle the hot jam into the hot sterile jars, leaving about 1/2 inch headspace, then seal with the lids and process using the water bath canning method. 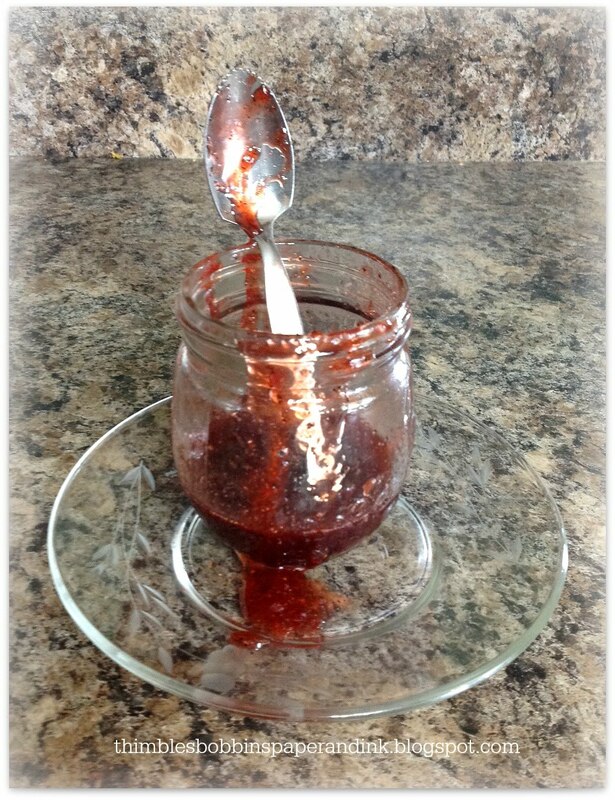 I made Strawberry Jam infused with Balsamic Vinegar and Black Pepper this week. YUM! YUM! 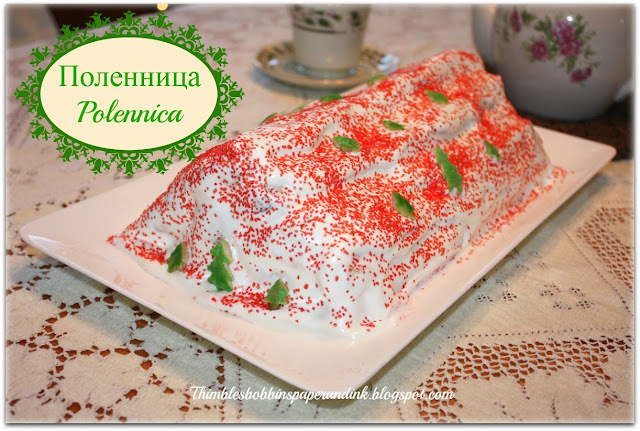 It's sweet and spicy and delicious. But more later about the jam. Sometimes when taking the tops, leaves and hulls out of the berries when prepping them for the jam, a lot of the berry gets wasted when you cut it. Well! I have an easy way to hull the berries. It's super simple to do and it gets the hull out of the berry without having to cut the top off. All you need is a drinking straw. The Mister acted as my hand model and demonstrated the process of hulling strawberries with a drinking straw in this little video. 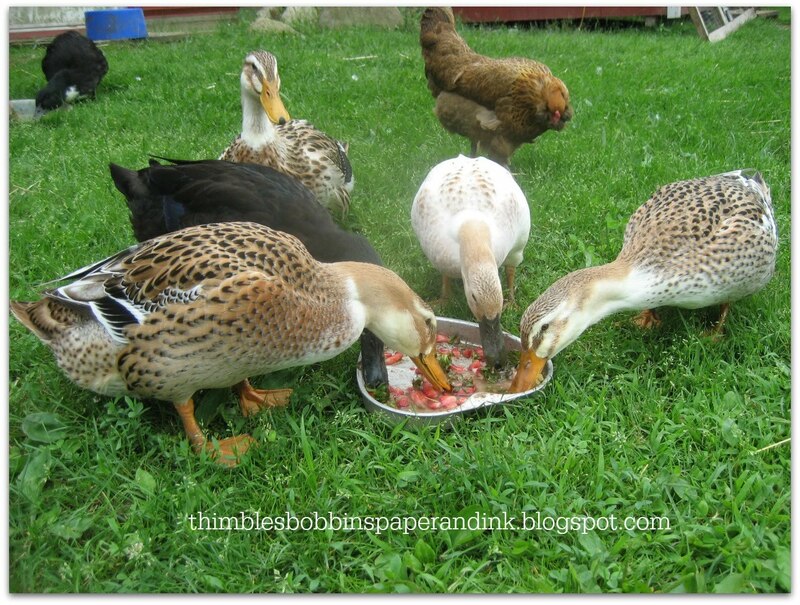 Happy ducks! And now on to making my jam. I don't generally expect telephone calls at 8:00 a.m. but this morning the caller I.D. on my phone showed "Post Office" as the caller and I eagerly answered the phone. Post Office: "Hello? Is this Jennifer?" Post Office: "I've got some birds here for you." Me: "I'll be right there to pick them up." Post Office: "See you soon." Of course it snowed last night AGAIN and my car wasn't in the garage so after a quick brush off of the snow I set off to the post office. YIKES! My gas gauge showed nothing! I was running on fumes. So, a quick stop at the gas station and I was back on the road to the post office. When I opened the post office doors the sound of "peep, peep, peep, chirp, chirp, PEEP!" filled the room. So many people in my town are getting their new baby ducks and chickens. 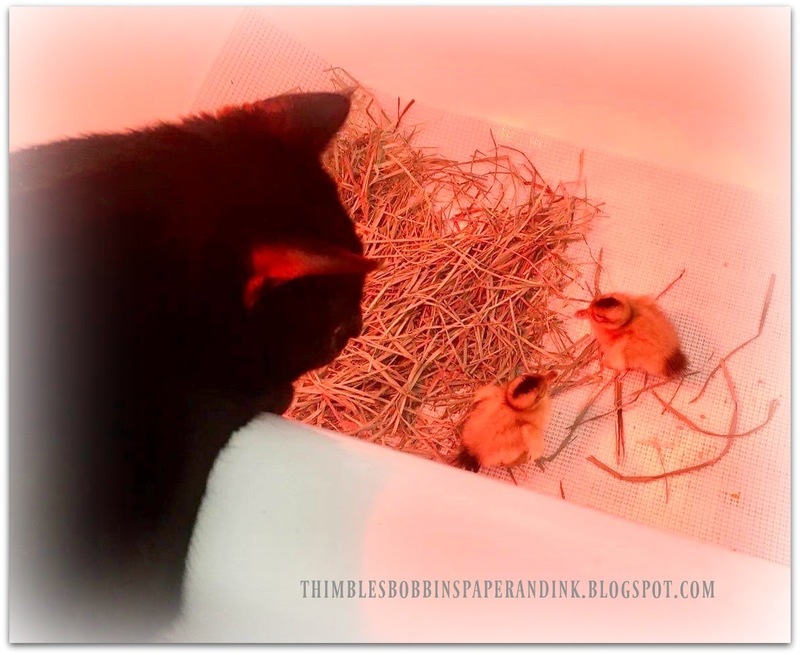 I collected my box of ducklings and hurried home to get them under the heat lamp and acquainted with Daisy Mae and Dolly Parton who arrived a week ago. Yep! This is how chicks and ducks arrive through the post. Inside the box are special warmers so that the day old chicks and ducklings stay warm. 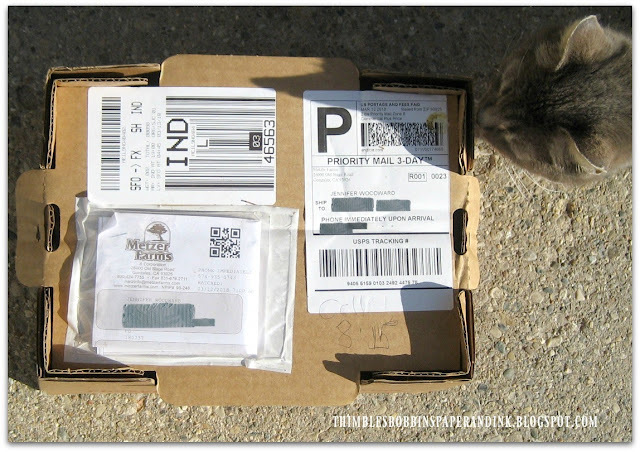 My sweet barn cat, Masha, was the postal inspector. After a quick sniff I took the ducklings inside the house to their brooder. JUST LOOK at how much bigger a one week old duckling is compared to a day old duckling! Ducks grow quickly. 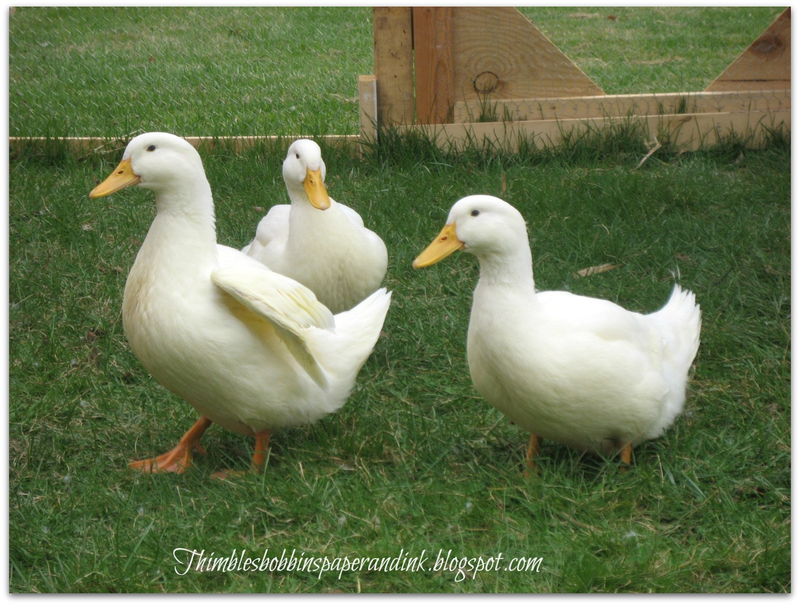 Daisy Mae and Dolly Parton: Silver Appleyard Ducks. Everyone is doing great and getting along well. 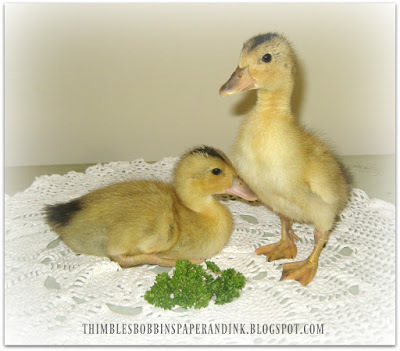 In three weeks I'll be getting my final shipment of ducklings. Daisy Mae and Dolly Parton are one week old and today they had their first "swim" in the sink. Not a whole lot of swimming since my sink is pretty shallow, but they had fun I think. After the swim they tried out a little bit of chopped parsley. It was a big hit! The girls have really grown quickly in just one week's time. Tomorrow they will be joined by 4 more day old ducklings. 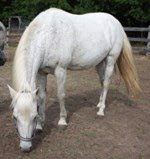 Like everyone else, here at Gypsy's Pasture we are eagerly awaiting Spring after a very cold, long, snowy and blustery winter. To me, spring means new life new seedlings sprouting, new baby animals born, new goals and ... well... a whole new attitude. 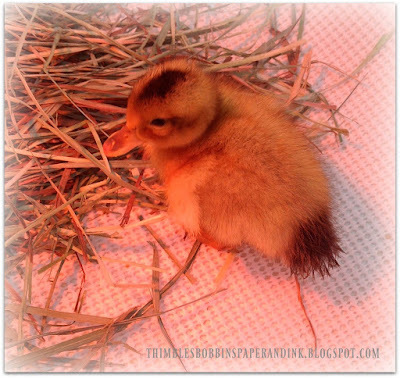 Last week the first of my new baby ducklings arrived. The first two little cuties I'm getting this year are Silver Appleyard ducklings. Soooooo CUTE! They arrived from a hatchery located in California so these wee babies were born on Monday and arrived via USPS on Wednesday. 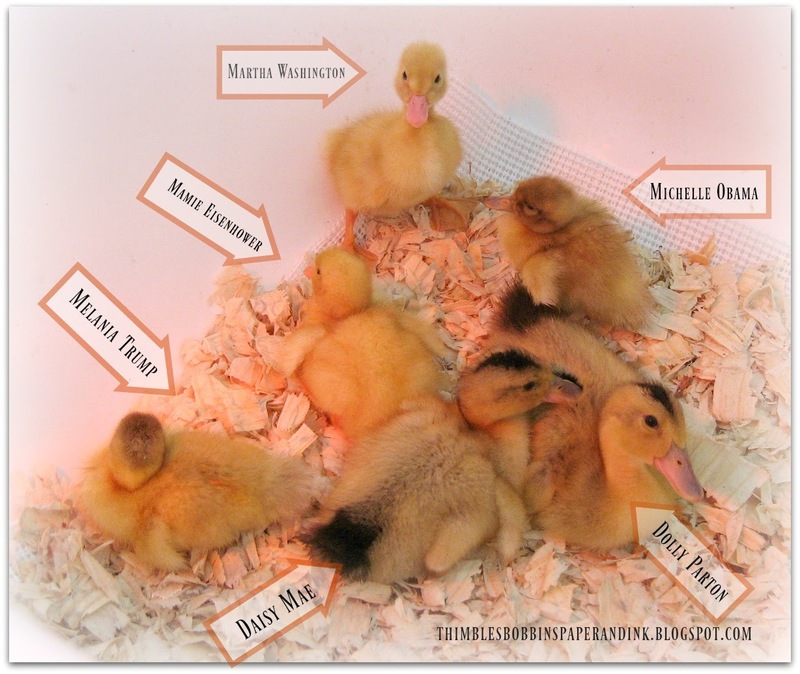 I had my brooder all set up and ready when I got the call from the post office that my little ones had arrived. I have a heat lamp over them so that is why the photos glow with a reddish color. 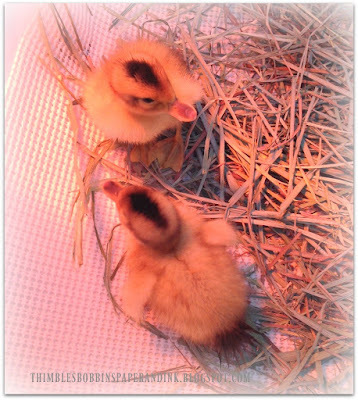 Both ducklings, who I am naming Daisy Mae and Dolly Parton, drank and ate immediately. They are active and hungry and settled in the spare bathtub just beautifully. Bert and Ernie, my indoor cats, are very curious about the new residents in the bathroom. Here is Bert studying them carefully. Not to worry, though. 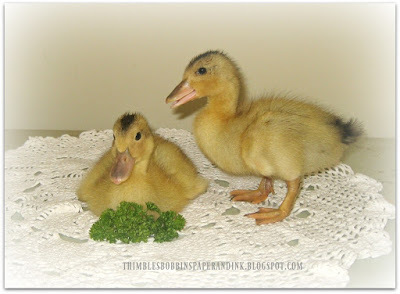 Bert and Ernie are highly supervised IF they are even allowed to see the ducklings, so Daisy and Dolly are safe. There will be more ducklings arriving over the next several weeks as well as baby chicken/chicks. Yep! New life is the signal that Spring has arrived. This past Monday was a very special occasion for my family. My granddaughter had her Mikvah and then followed by her Bris Bat, at which time she received her Jewish name. It was a very happy and beautiful day of family, prayer, tradition and celebration. 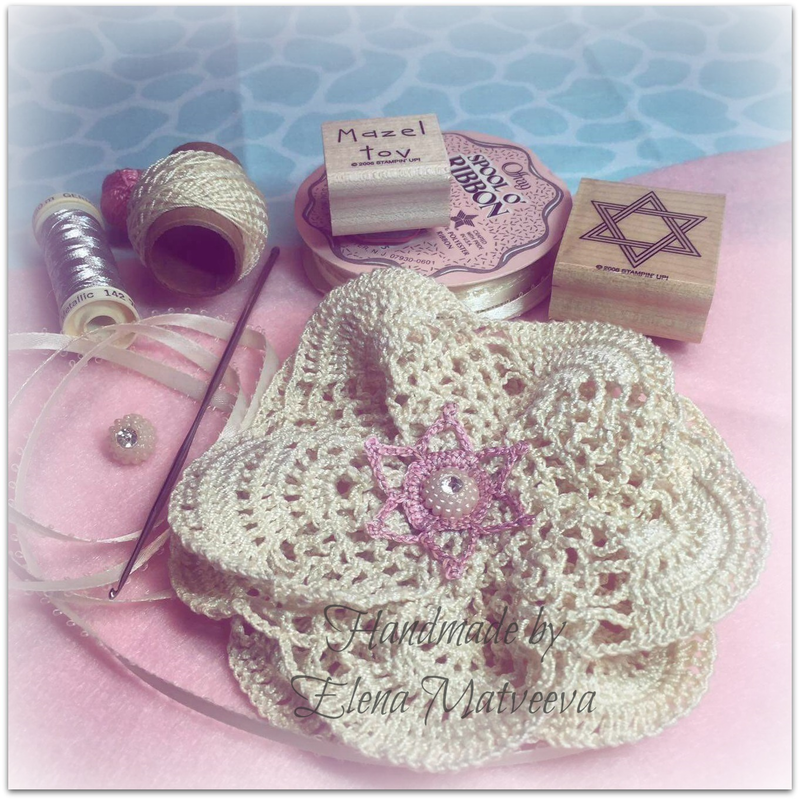 I wish I could say I made this baby Yarmulke but I cannot crochet this beautifully. I must give credit where credit is due. My daughter-in-law, Elena, made this for my Granddaughter (Elena's new niece) as a keepsake for her special day. It's absolutely lovely. I hope you are keeping warm. This winter has been incredibly cold and we are all looking forward to an early spring! My son and daughter in law have been visiting us and my daughter in law has never stamped or made cards before. 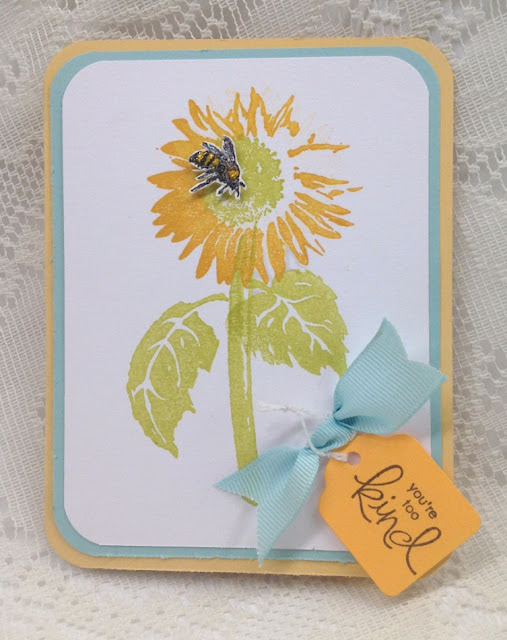 When she saw my craft room overflowing with stamps, paper, embellishments and all of the fun crafting supplies I've acquired over the years she wondered if I'd mind if she'd learn to make cards. "ABSOLUTELY you may! ", I said. "Help yourself to anything you find." She is a natural and has made quite a number of cards while she's been here. 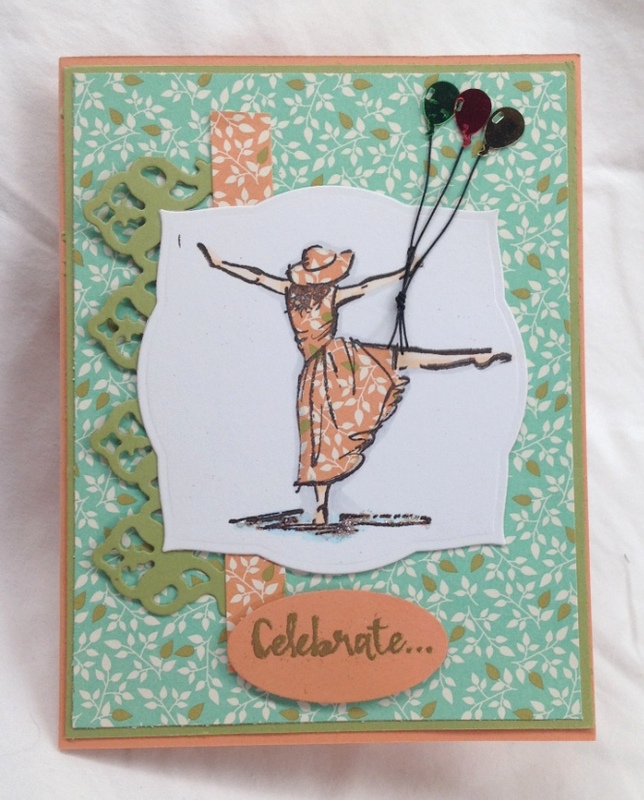 But the best part of all is that she's inspired me to rediscover my stamps and card making as well and we are having just the best time making cards together. 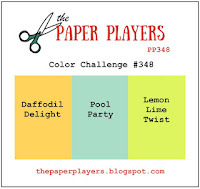 The challenge at The Paper Players this week is a color challenge as shown in the picture below. I didn't have the exact colors listed but I used what I had that were as close as possible to these. How does time go so quickly? It's been ages since I've posted. Since moving to our little farm, "Gypsy's Pasture", my priorities have been focused on the animals, the homestead, the garden and taking care of the Mister. 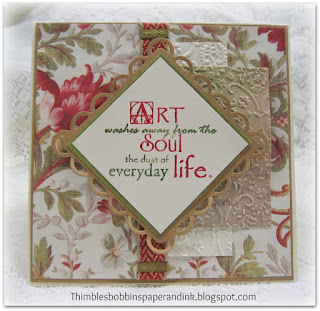 BUT, I still love crafting, sewing, card making and all forms of needle art. 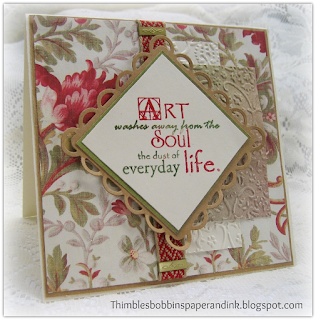 I decided it was high time I give card making a try again and especially since one of my favorite inspiration sites for card layouts has posted it's last layout challenge. I'm going to miss MOJO MONDAY challenges. Here is my card for the FINAL MOJO MONDAY 500 Challenge. Julee Tillman, who is responsible for these past 10 years of inspirational Mojo Monday layout challenges, asked if anyone wanted to, to comment about the challenges and what they've meant to them. For myself, it is the layout that I have the most difficulty with when making a card. I love combining the stamps, papers, color medium, embellishments. 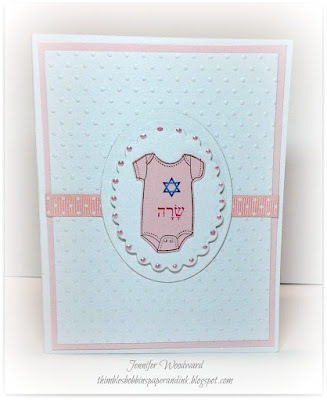 But when it comes to putting them all together on a card, I always found that the most challenging aspect of card making. Every Monday Julee and a fresh and often VERY challenging layout. I have looked forward to each Monday, whether or not I actually participated in making a card, to Julee and her team's creative layout challenges and seeing how all of the participants used that layout in their own creative way. Thank you Julee and many thanks to your design team and all of the participants. I've thoroughly enjoyed following your blog and participating in as many of the challenges as time has allowed me. Cheers to 2017 with Duck Egg Eggnog! 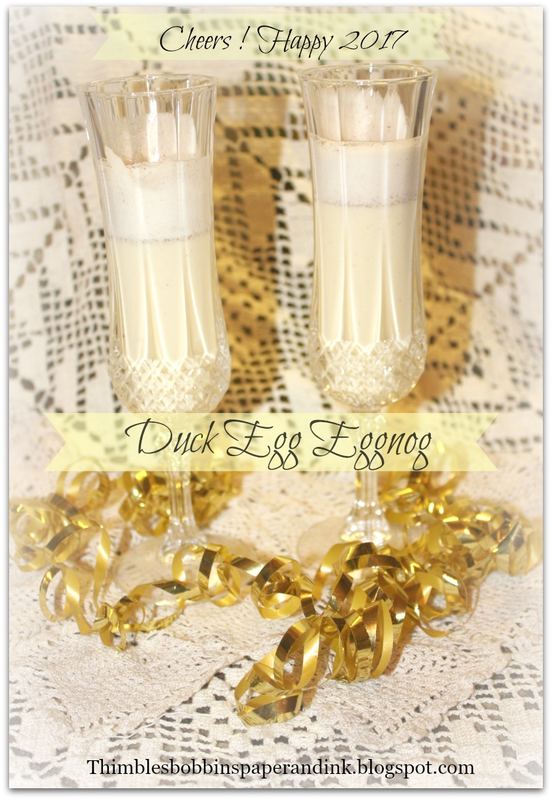 The Mister and I toasted in the New Year with some delicious Duck Egg Eggnog. 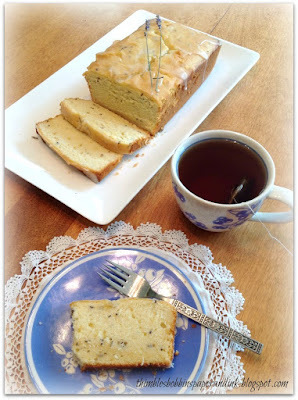 I just had to share my recipe with you because it is THAT GOOD! You don't have to use duck eggs...chicken eggs work too. 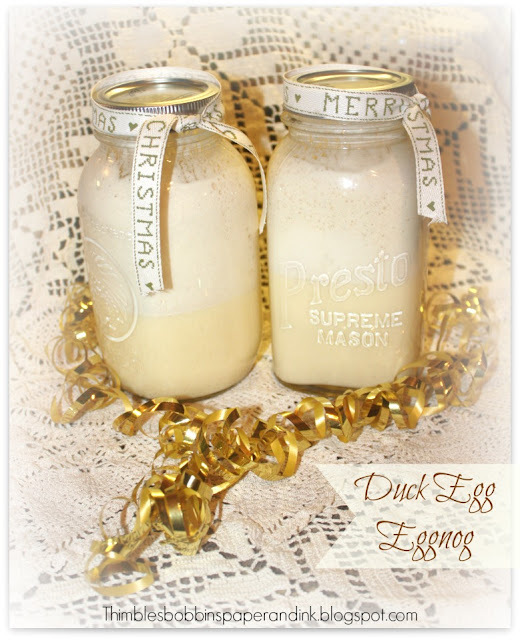 But I had an abundance of Duck Eggs and they make this eggnog so decadent and wonderful. And freshly grated Nutmeg is the true secret. Last year I gave Duck Egg Eggnog to several of my neighbors and they insisted that it become a yearly tradition. So I bottled up a few jars and they will be delivered today to ring in the new year. Every autumn the pumpkin craze starts up again and we find pumpkin in anything and everything. 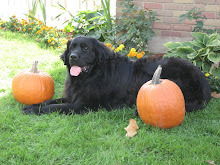 I must admit that I'm a crazy pumpkin fanatic too. 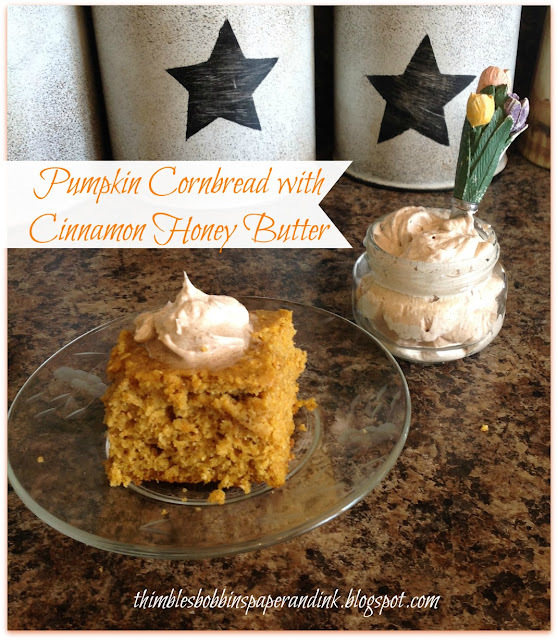 Pumpkin Spice Latte, Pumpkin Spice Cherrios Cereal, Pumpkin Soup, Pumpkin Roll, Pumpkin Pie and ... PUMPKIN CORNBREAD with CINNAMON HONEY BUTTER! It's wonderful! Both the cornbread and the Cinnamon Honey Butter. Put them together and they are quite the feast! For the cornbread: Preheat the oven to 375 degrees. In a mixing bowl whisk together flour, cornmeal, baking powder, baking soda, salt, cinnamon, ginger, nutmeg and cloves for 20 seconds. Make a well in the center of the flour mixture then set aside. In a separate mixing bowl, add brown sugar and break up sugar with fingertips until no clumps remain. Add in melted butter and pumpkin and whisk to combine. 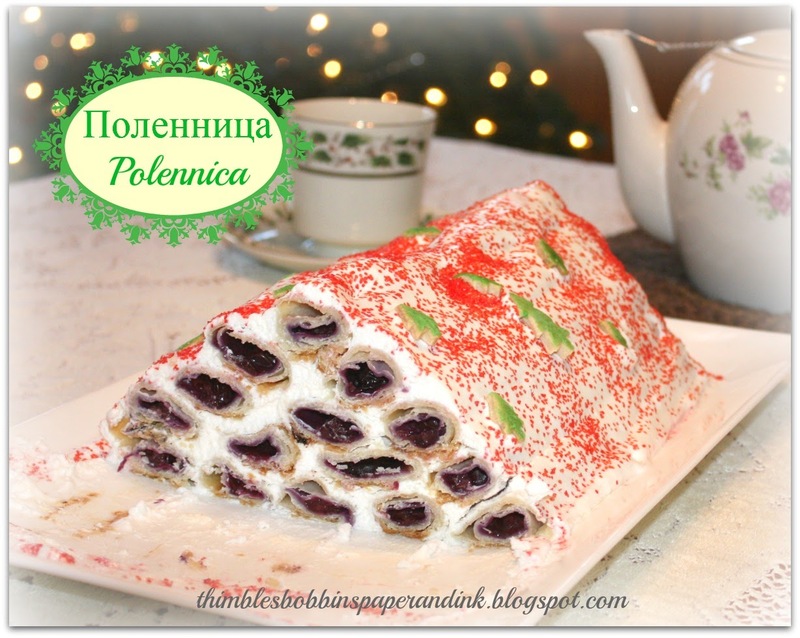 Mix in sour cream and eggs until well blended. Pour mixture into well in flour mixture then fold with a rubber spatula and just until combined and no streaks of flour remain. Spray and 8" by 8" baking dish with non-stick cooking spray and pour batter into pan. 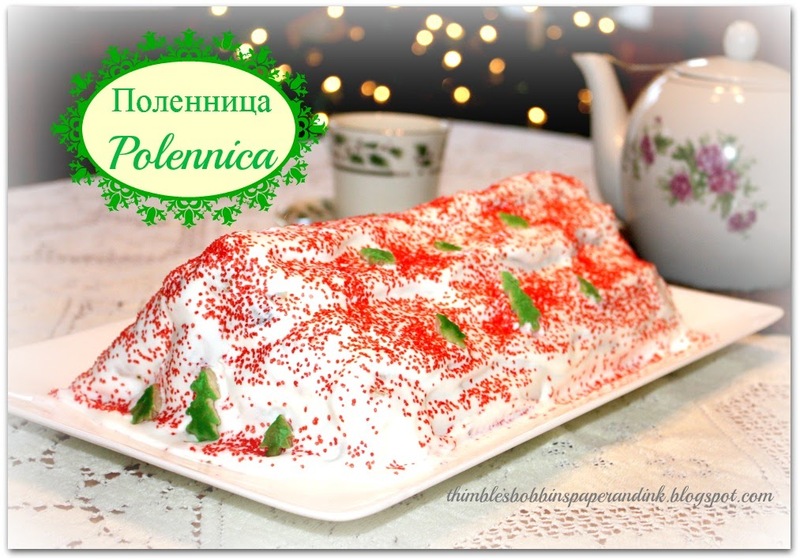 Spread batter into an even layer and bake in a preheated oven until toothpick inserted into center comes out free of batter, about 25 - 30 minutes. 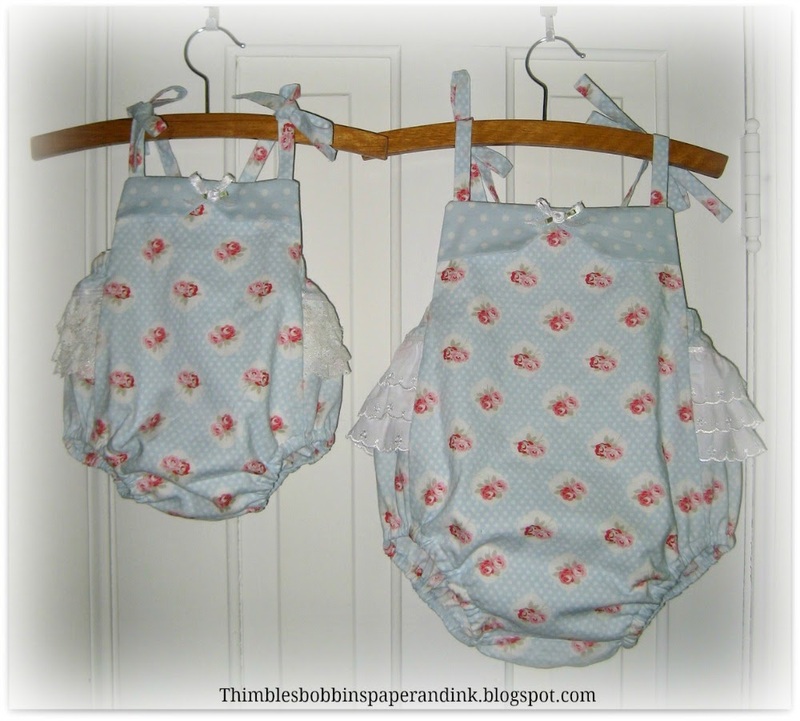 Cool slightly on a wire rack and then cut into squares. 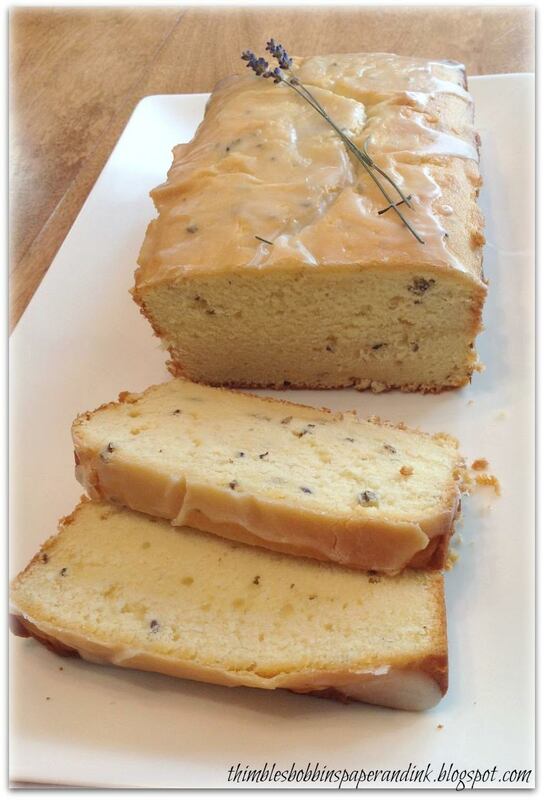 Serve with Cinnamon Honey Butter. In a mixing bowl whip butter with an electric mixer until smooth. Add in honey, powdered sugar and cinnamon and mix on low speed until combined, then increase to high speed and whip until light and fluffy, about 2 - 3 minutes. Memory House grabbed my attention and didn't let go until I turned the last page. The combination of women's friendships, a mystical "gift" to be discovered and passed on, combining past treasures with the present and modern day problems with relationships and work place issues made this book a winner. Bette Lee Crosby create characters that you come to love, and some who you never wish to meet and that is part of good story telling and character development. I highly recommend Memory House and l Memory House grabbed my attention and didn't let go until I turned the last page. The combination of women's friendships, a mystical "gift" to be discovered and passed on, combining past treasures with present and modern day problems with relationships, and work place issues made this book a winner. Bette Lee Crosby creates characters that you come to love, and some for whom you never wish to meet! That is part of good story telling and character development. I highly recommend Memory House and look forward to reading more in this series. 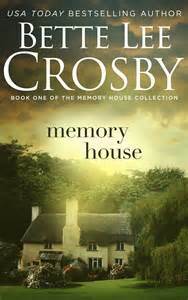 I had the privilege of reading Memory House through ibooks and given the opportunity to given an honest review. I like to bake bread and not just plain white bread. I have a lot of different kinds of flour ranging from whole wheat, multigrain, rye, buckwheat, graham...the list goes on. I use a lot of whole wheat flour and I needed another canister to store it in. While rummaging around in the basement I came across a couple of huge, gallon+ size, glass pickle jars. You know...the kind that food service and vendors have that their pickles and condiments come in. 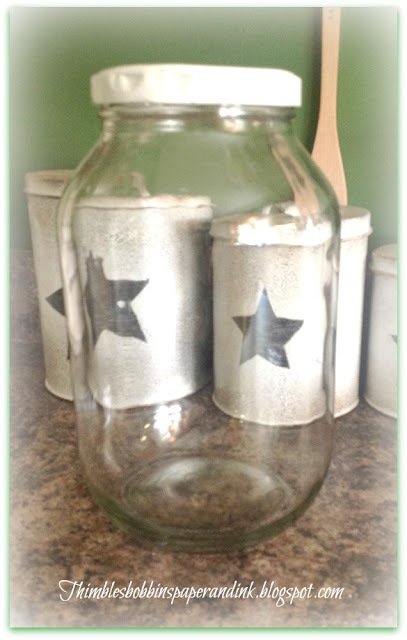 That's when I decided to upcycle the jars into flour canisters. The clear glass was perfect for trying my hand at a little decorative glass etching. For the lettering I cut out my own lettering stencil to spell our FLOUR in a fun script. 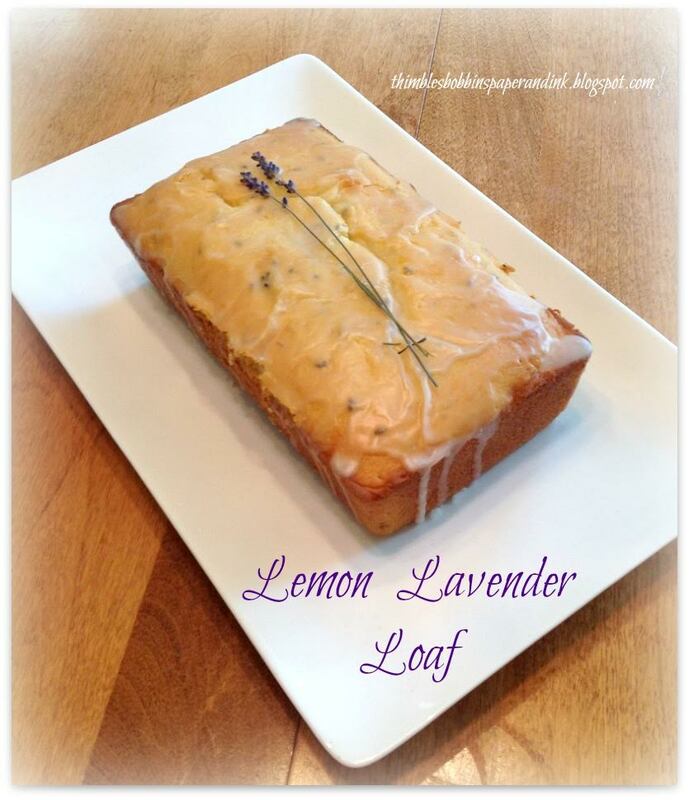 Then I used a Martha Stewart floral design stencil beneath the word FLOUR. I taped the stencils to the glass jar and applied the Martha Stewart Glass etching liquid with a foam brush over the letters and design. 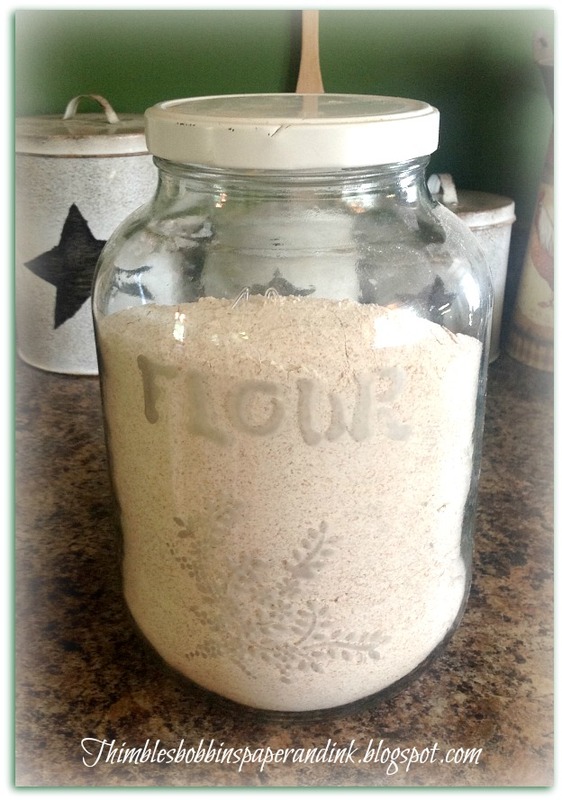 I created a canister for more flour. The lid is looking a little shabby covering the pretty jar so I think perhaps I'll cover it with either a pretty fabric or I'll paint it. 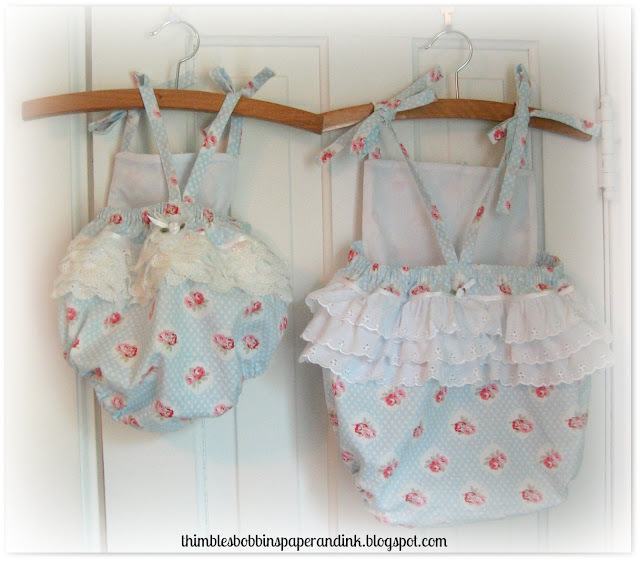 It's fun giving new purpose to discarded 'junk'. I received an Advance Reader's Copy of A Wave From Mama in exchange for an honest review. 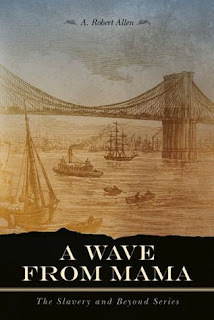 A Wave from Mama is the second novel in A. Robert Allen’s series, Slavery and Beyond. An historical fiction novel that begins in the year 1863, following the Draft Riots, in Weeksville, New York where former slaves find refuge in the camp where they found refuge and yearned to start a new life. It is a history lesson in post civil war tense relations between Blacks, Irish immigrants, gangs and police corruption and incorporated in the story is the historic importance of the building of the Brooklyn Bridge. The story of Venture is touching with the love and friendship of the people who would become his family who take him in as their own family (Esther, Thomas, Mabel and Horace Washington), his friend Moses, the young girl Grace who would eventually become his wife, and John Singleton and most importantly Venture’s love and devotion to his Mama’s memory. This love and friendship all in the midst of the tumultuous time in history. 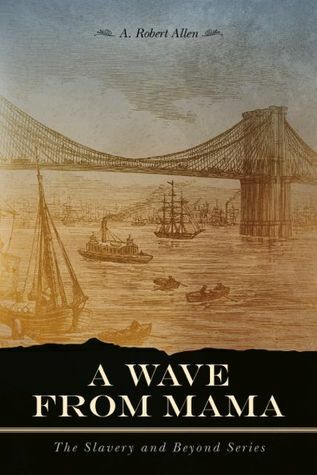 A Wave from Mama is a history lesson of events that I wasn’t aware of; that is the Draft Riots, the clash between the Irish and Blacks and the history and significant importance of the building of the Brooklyn Bridge. I was immediately drawn in to the story. I thoroughly enjoyed this book and thank the author, A. Robert Allen, for teaching me about these aspects of post civil war history and slavery that I knew little about in a most captivating novel. Historic fiction is my favorite genre of fiction and this novel did not disappoint. 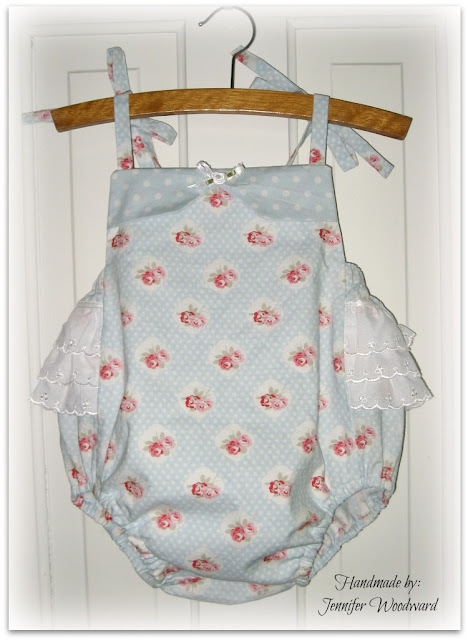 I just love browsing digital sewing patterns on Etsy and I found this darling pattern that would fit sizes from Newborn to 24 months at My Childhood Treasures Etsy shop. 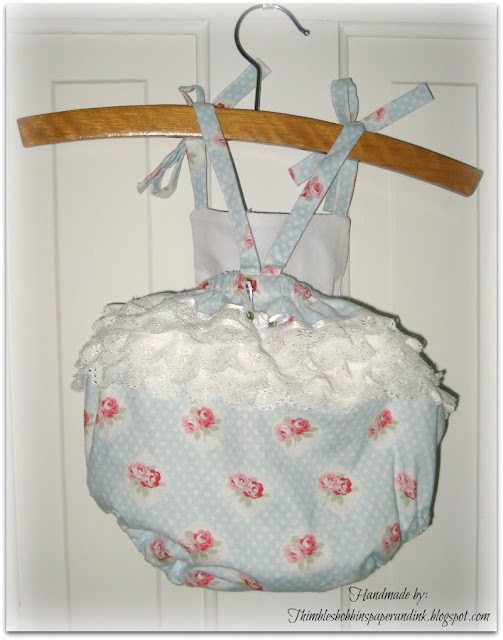 The pattern does have a ruffle pattern piece, but I decided to use up some of my lacey ruffles, satin ribbons and satin rose buds and embellish in my own way. These were so fast to sew up and I had just the best time making them. Nothing more sweet than seeing little girls in ruffles and bows, ribbons and rosebuds. 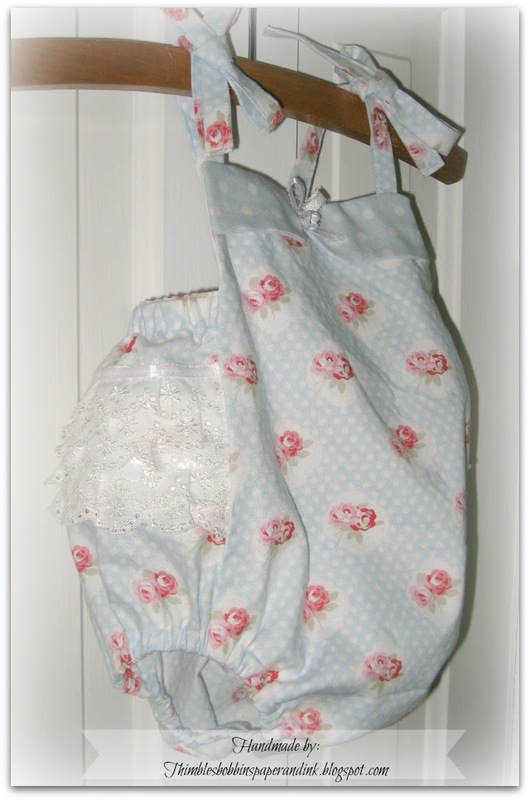 For the infant romper, since it was so tiny, rather than using three rows of the wider eyelet lace, I chose to use five rows of a narrow lace. 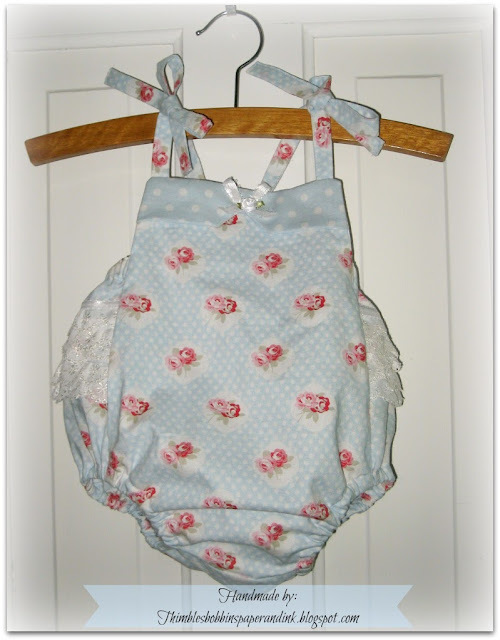 The fabric is from Tanya Whelan. 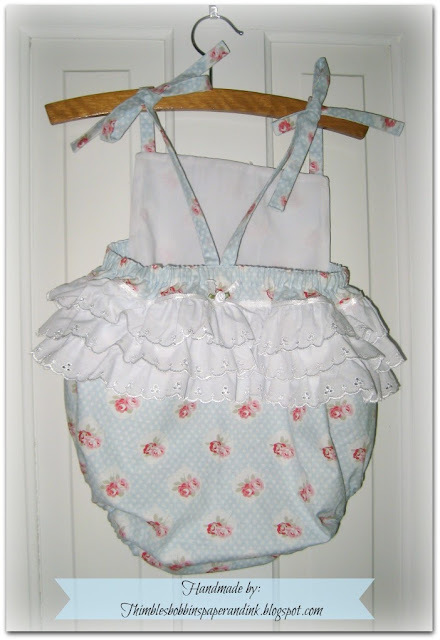 I just love her romantic fabrics.